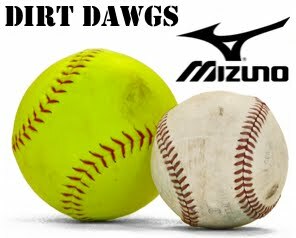 We are proud to announce the recent partnership between the Dirt Dawgs and Mizuno. The organization was founded in 2005 by Randy Cobb and since inception our teams have represented the Gwinnett area by fielding competitive teams, developing quality players and utilizing coaches of character. Our teams compete on the State and National levels every season and this partnership will ensure this continues for years to come. We have fielded teams that have qualified for ASA and USSSA Nationals 6 times in multiple age classifications. If you are a player or coach who has interest in one of our teams or joining our organization please feel free to contact. We have listed our current coaches below in case your inquiry is age specific and be on the lookout for additional posts regarding tryouts, tournaments, clinics, and team and player opportunities as well. Our Gwinnett area teams practice out of North Gwinnett High School, George Pierce Park, a private field in Suwanee, and we have use of an indoor practice facility (The Dawg House) in Buford as well. Please contact Randy Cobb with any questions at randy@gfrich.com or 404-867-7213.